he Royal Bahamas Defense Force patrol craft, HMBS Durward Knowles, arrived at Clarence Town on Monday 5th October 2015. 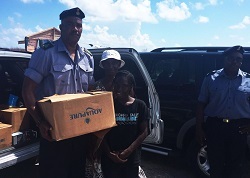 Acting Lieutenant Commander Carlon Bethel, Commanding Officer HMBS Durward Knowles, immediately contacted Mrs. Bootle-Bethel, the Island Administrator. During discussions with Mrs. Bethel, it was revealed that parts of Long Island had been cut off due to flooding, which made streets impassable for impact teams to reach disaster stricken areas. Marines, from the ship’s company were quickly deployed to assist with relief efforts underway with locals within the community. Teams included an engineering team that assisted in the repairing of the Community Centre’s generator. Teams were also dispatched to investigate the environmental impact of a beached vessel near the community. After a complete assessment was done, the grounded vessel posed no threat of potential or immediate environmental damage. With the arrival of additional Defence Force Impact Teams, areas once isolated became accessible. This allowed for proper assessment so that basic needs of the communities could be met. Fresh water and food being priority, cleanup efforts were also conducted to allow ease of access and transportation of incoming relief supplies. With the establishment of communication and transportation networks, relief centers are now able to provide more effective relief to the communities. Defence Force personnel continue to carry out assessments, assist in distribution and regulation of supplies and equipment while providing security. 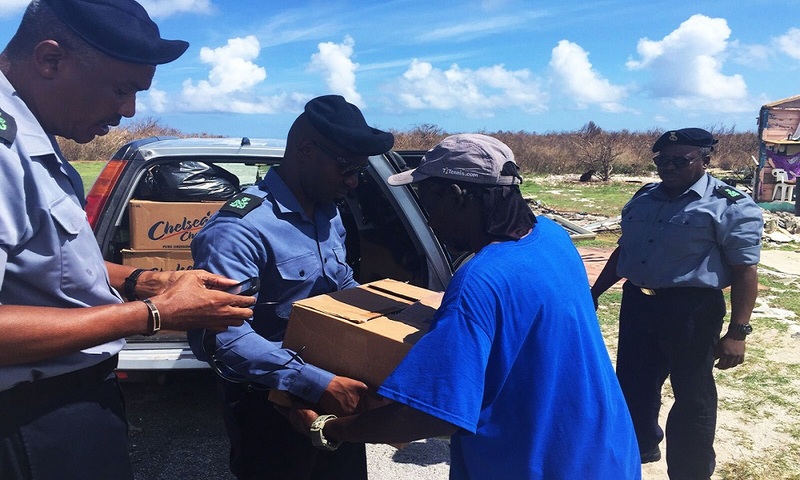 The Royal Bahamas Defence Force along with the island administrator, NEMA and Pathfinder representatives remain committed to relief efforts here in Long Island.